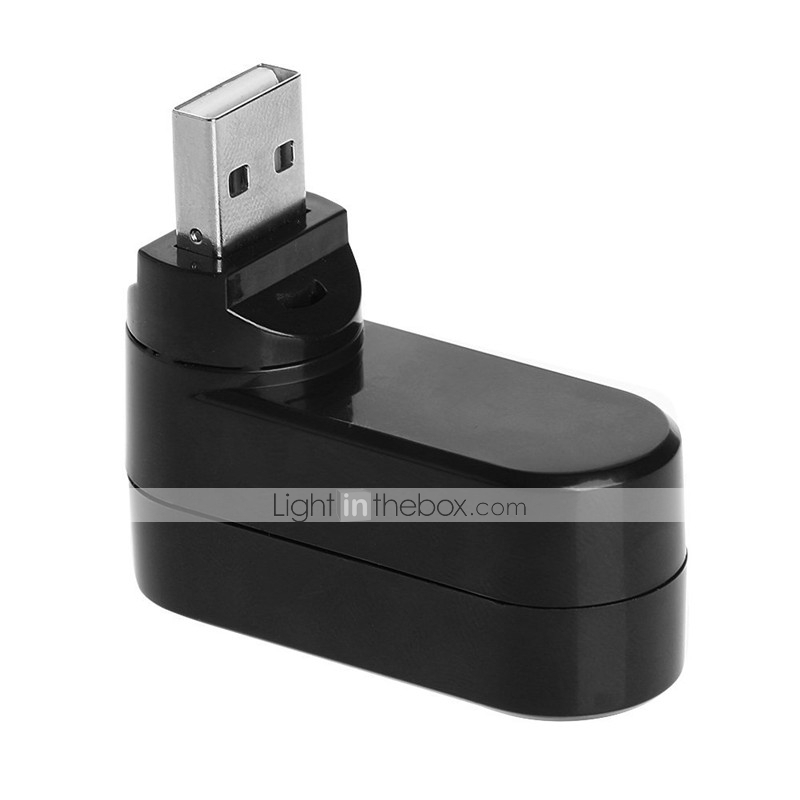 Features : Portable size, Compact, light weight design,Plug and play, no driver installation required. Fully compliant with USB 2.0/ 1.1. Supports data transfer rate up to 480Mbps. 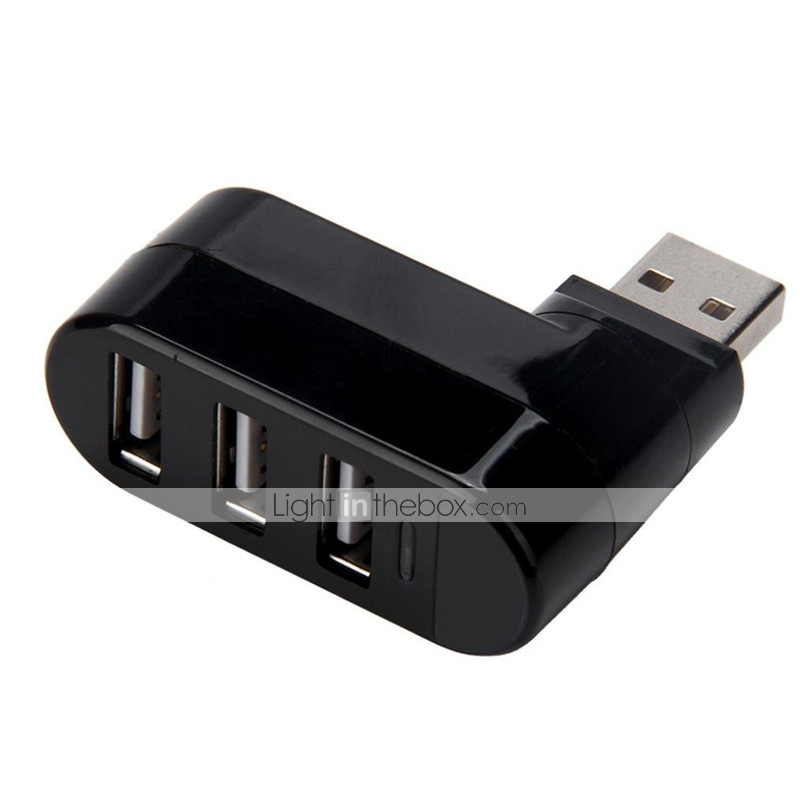 Expand 3 USB ports supply up to 500mA current per port. Support downstream wrong signal detection and revert to normal function. 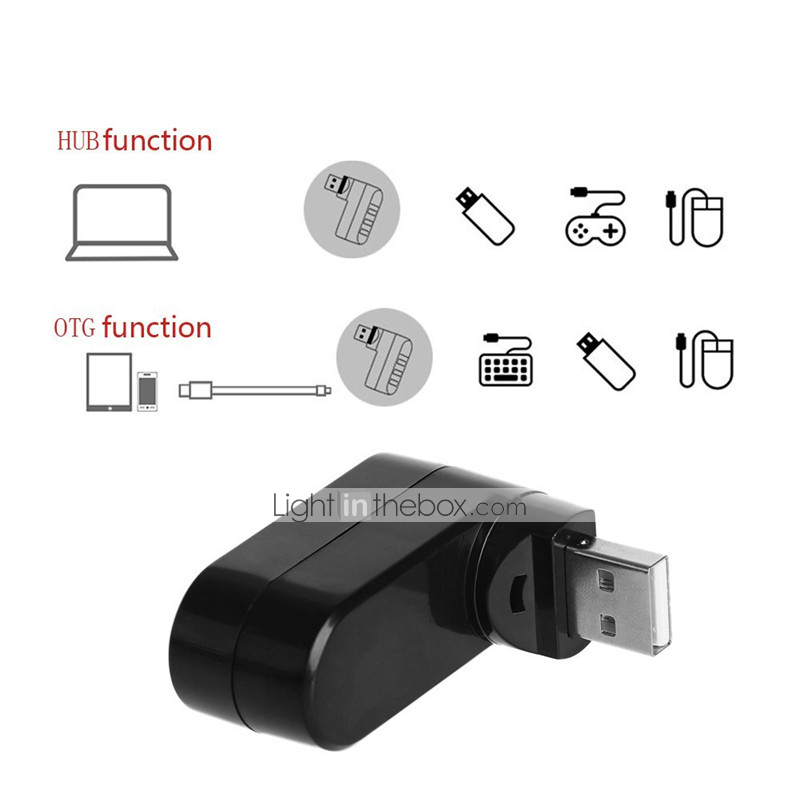 Power consumption, low operating temperature so solts and slots without interfere with each other. 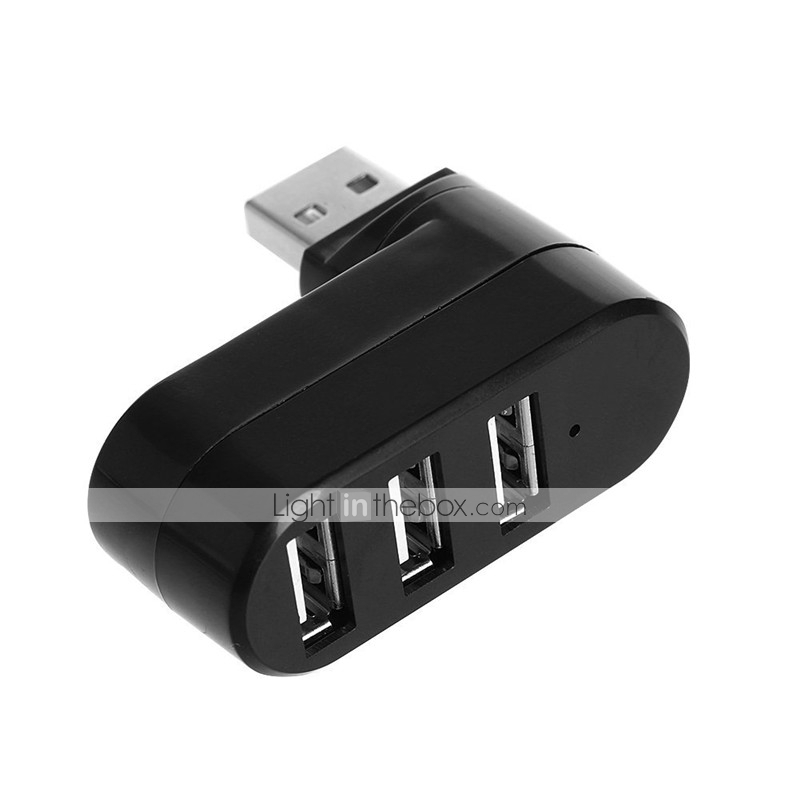 Allows simultaneous operation of up to 3 separate devices all attached to a single USB port. 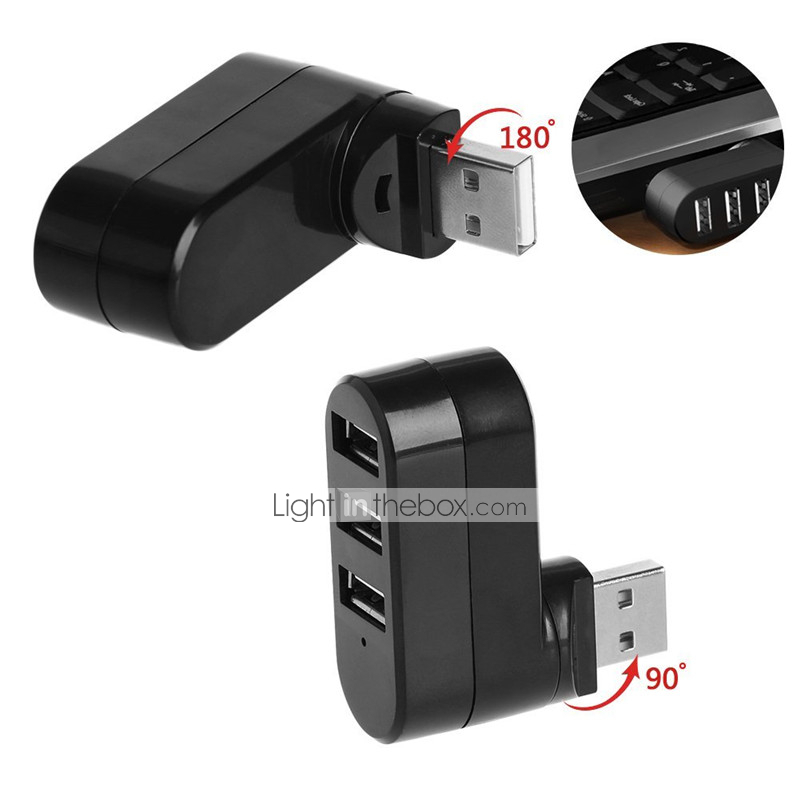 USB A male connector can be rotated 180 degrees, easily meeting users' USB orientation angle demands. Supports Win ME/ Vista/ XP/ 2000//Win 7 MacOS 10.4.5/ Linux 2.4.1 and so on. Note:Please make sure that the USB port of PC has sufficient power supply before using.For desktop computers, please connect this hub to the back USB ports. 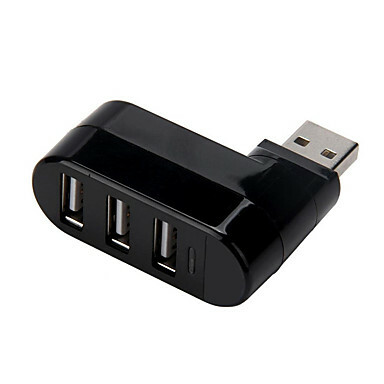 Generally the power supply of front USB ports of desktops is not sufficient.Please wait for a few seconds for plugging and recognizing new devices. If the devices cannot read, please disconnect with computer. When all the devices plugged, then connect the hub with computer again.